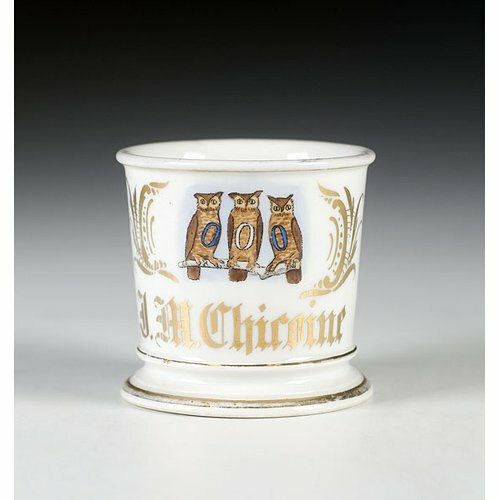 Order of Owls Fraternal Shaving Mug, porcelain with polychrome painted scene of three owls, each bearing the letter O on its breast. Gilt name J.M. Chicoine and marked T & V Limoges, France. The Order of Owls was founded in 1904 in South Bend, Indiana as a means for men to assist one another in business matters.